After delivering hits like 'Hitler' and 'Chronic Bachelor', director Siddique and megastar Mammootty is teaming up for a new venture. Titled 'Rascal', the movie scripted by Siddique will be a comedy crap which could entertain the spectators. After the finalization the script and cast, the shooting of the movie will kick start in December this year. As per plan, 'Rascal' would reach theatres during next Vishu. Mammootty will produce the movie under his own production unit Play House release. Being a trusted filmmaker who has made Keralities proud reaching his name in bollywood through 'Body Guard' which had Salman Khan in lead, Siddique is well liked by the malayali audience. 'Rascal' will be a comedy filled family oriented movie with Siddique himself managing the screenplay and dialogues along with direction. 'Hitler' and 'Chronic Bachelor' created magic in the theatres and were big commercial success. Both movies were well liked by the moviegoers for its unswerving theme and outstanding performance by the actors. Siddique's last outing 'Ladies and Gentleman' featuring Mohanlal, Krish Sathar, Meera Jasmine and Mamtha Mohandas was a dud in the box office. Learning from the previous errors, his upcoming venture 'Rascal' would be made in more sensible manner to keep the movie enthusiasts intact. Meanwhile Mammotty is busy with his committed projects. After winding up the shooting of Ranjith Shankar's 'Varsham', the actor will join the sets of 'Fire Engine' directed by Deepu Karunakaran which will start rolling at Thodupuzha from 10th October 2014. His committed projects include 'Salim Ahamed's 'Pathemari', 'Dance Dance' with Johny Antony, 'Driving License' helmed by Jean Paul and an untitled project with Kamal. Other than his recent release 'Munnariyippu', most of the movies the actor received cold responses from the theatres. 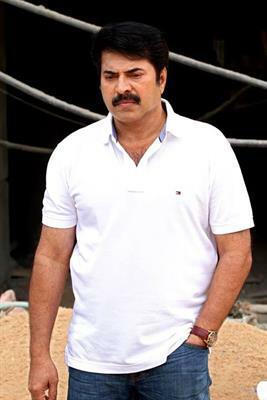 But the substantial star value and satellite rights of Mammootty makes him busy and hands tightened with projects. So if you are a movie buff, wait for the real entertainment to be offered by Siddique and Mammootty.